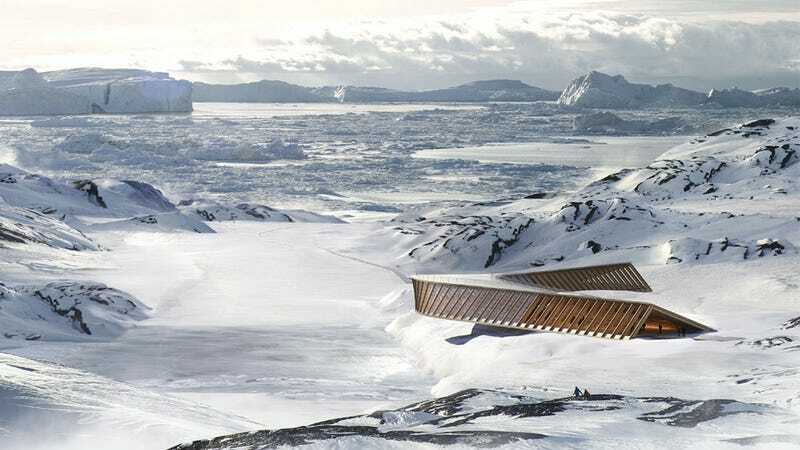 A stunning structure built 150 miles inside the Arctic Circle will serve as a crucial research centre for glaciologists. But perhaps more importantly, it will be a place where humans can travel to see the real-time impact of climate change. The Illulissat Icefjord is a UNESCO-protected site on Greenland’s west coast that’s known for both its stunning natural features and its long history of human habitation. Illulissat is one of the few spots where Greenland’s continental ice sheet meets the sea, allowing scientists rare access to glacial ice that’s over 250,000 years old. This is why it’s known as climate change “ground zero”. People have been coming here to study the famously fast-moving Sermeq Kujalleq glacier for 250 years. 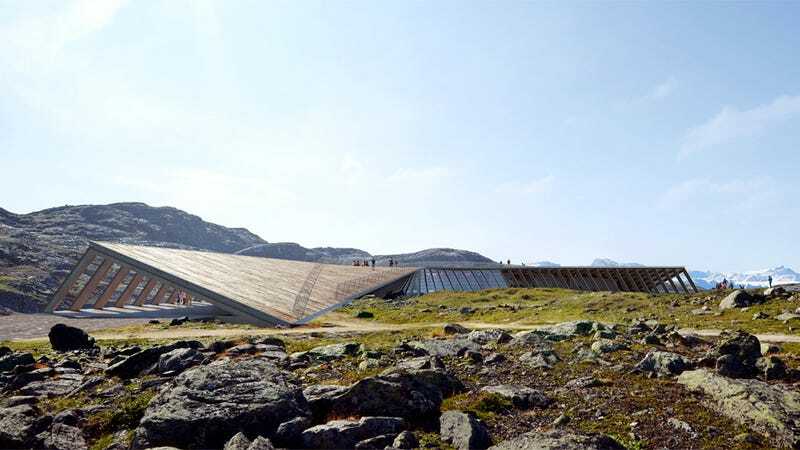 The Icefjord Centre will provide a permanent outpost for this scientific work as well as an interpretive centre to help visitors understand it. Designed by Danish architects at Dorte Mandrup, the structure is made from wood and is designed to have a low-profile on the landscape while offering panoramic vistas from the rooftop.